Indiana gunmaker, Jerry Eitnier has been involved in the sport of muzzleloading for more than 40 years. He joined the National Muzzle Loading Association in 1973, and later became a charter member of the Contemporary Longrifle Association in 1991. He has studied under some of the most noteworthy artists in the field, taking five years of classes at the Annual Traditional Arts & Arms Making Workshops at Conner Prairie Living History Museum in Fishers, IN. There he was taught by gunmakers Hershel House, John Schippers, Mark Silver and blacksmith Melvin Lytton and others. Additionally, he’s had the opportunity to work with Frank House down in southern Illinois. Jerry is quick to credit others for his success, “Most of what little I know I learned by doing but so many people have helped me along the way and I can’t thank them enough.” Today, besides building firearms he has broadened his talents into the arts of blacksmithing, crafting knives and making powder horns. 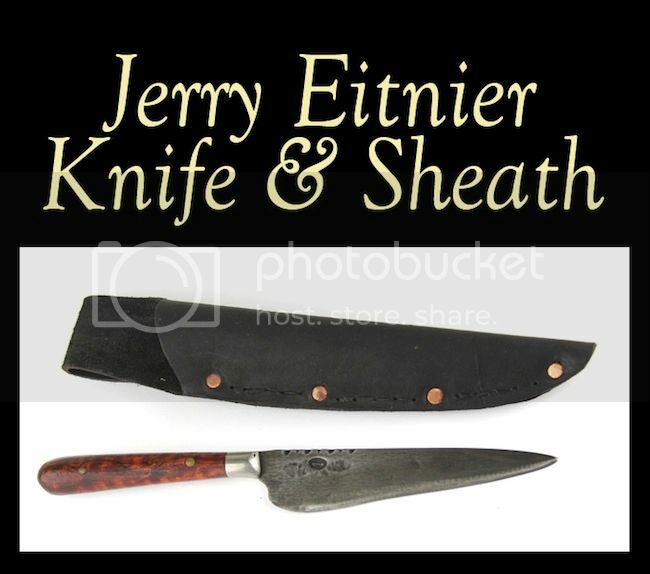 Jerry’s knives and horns are like his rifle guns; “built to be safe and to be used”. The CLA is fortunate to have one of his knives donated by Jerry for this year’s Fund Raising Auction. It’s a small belt knife of a convenient, easy to carry size that will do about anything that you would ask of a good knife. 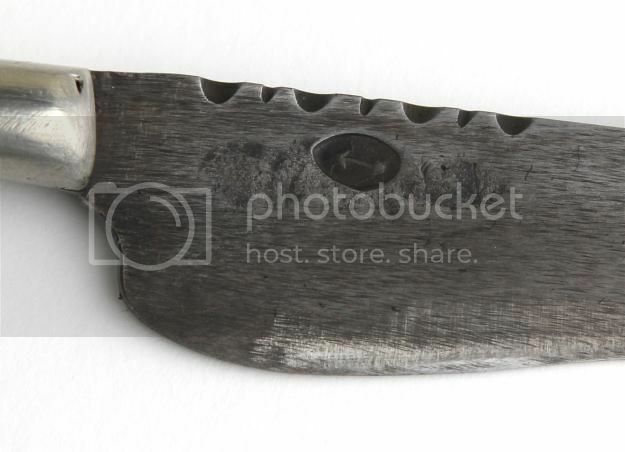 Hand forged from 1080 steel with the look of frontier blacksmithing, this knife is meant to use and should hold up well. It comes with a handsome, well-crafted sheath. Jerry’s contact information is below. His website is well worth a visit.